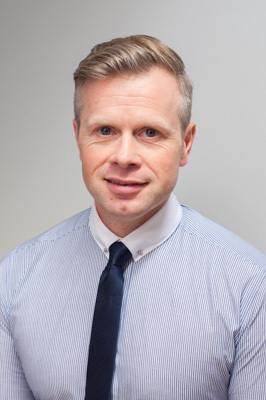 As a Chartered Management Accountant Tim joined Hope Farm Medical Centre and the NHS in 2014 bringing with him an extensive knowledge in business management and process improvement. Tim takes operational responsibility for the organisation and management of the practice. This also includes strategic responsibility and co-ordination of the partners' vision and direction for a sustainable primary care medical practice which delivers high quality healthcare in the modern environment. Outside of his role at the practice Tim spends most of his spare time walking his two dogs Erin and Herbie. The Patient Services Team provides essential support to the patients, GPs, nursing and management teams at Hope Farm Medical Centre. The Patient Services Team is trained to deal with patient enquiries in a sympathetic and confidential manner. The team covers the traditional primary care tasks across reception, prescribing, secretarial, data management and administration support duties but also modern, vibrant and forward thinking tasks such as social prescribing. The aim of the Patient Services Team is to provide an effective, friendly and interactive service to our practice patients and professional healthcare associates. Ginny started working at the Practice in 1991 as a receptionist and was promoted over the years to Office Manager. 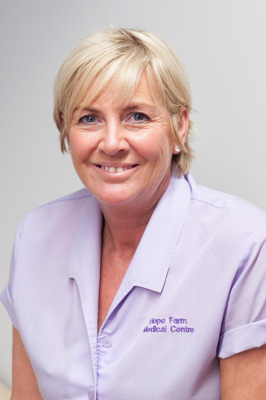 Ginny is responsible for the organisation and coordination of the Patient Services Team, the practice operations and procedures to ensure the practice’s effectiveness and efficiency. Ginny has a very demanding but varied role within the practice. Sue started working at the Practice in 2007 and was recently promoted to Deputy Office Manager in order to provide support to Ginny in the operational organisation of the Patient Services Team. Sue ensures that there is sufficient cover in place in the Patient Services Team and directs work of the team as needed by the practice. Information is a valuable resource for the practice and consequently it needs to be managed, stored and distributed effectively. Leanne is responsible for managing and maintaining databases, information catalogues and other resources. Leanne uses her expertise to make sure that the information that she manages is safe, secure and easily accessible within the practice. In addition Leanne provides IT technical support to monitor and maintain the computer system and networks within the practice. The practice is increasingly reliant on computer systems so much of Leanne’s time is spent diagnosing faults and technical problems to ensure the practice is always operational. The Medicines Manager has a central role in the provision of an efficient, patient-friendly repeat prescribing system in the practice. Sarah is responsible for improving the service to both patients and clinicians by putting in place processes to minimise the chance of error and will reduce wastage of medicines.